Here’s how you can customize Touch Bar on your shiny new MacBook Pro notebook from Apple. Some may dismiss the Touch Bar as a gimmick, but it’s actually quite useful once you set it up properly to your liking. For example, you can add or remove controls which you think are appropriate and even add something as useful as a dedicated screenshot button. This means that you don’t have to pull off a ninja routine with your fingers for a plain and simple task. So customizing the Touch Bar is the way to go. 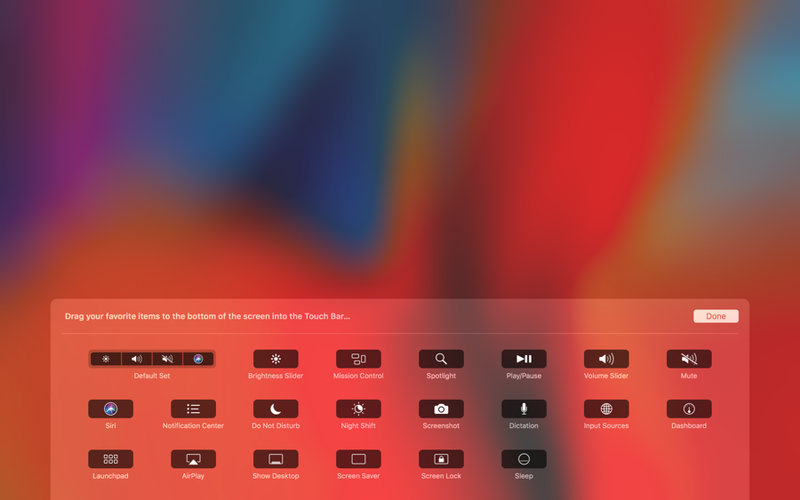 We’ll show you where those customization options are hidden in macOS. 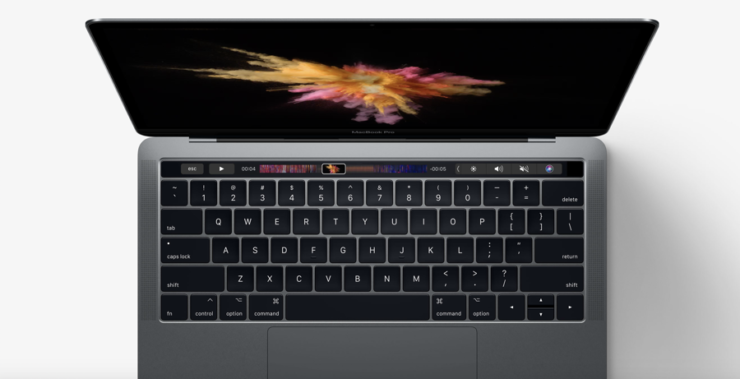 Note: This guide is only applicable with the 2016 or 2017 MacBook Pro with Touch Bar. If you have a notebook with a row of hardware function keys then you can dismiss this tutorial completely. Or move on, if you are planning to buy one anyway. 1. Launch System Preferences from the Dock or you can do so by brining up Spotlight search and typing in ‘System Preferences’ there. 2. Click on Keyboard. Because obviously, the Touch Bar is a part of the MacBook Pro’s keyboard. 3. 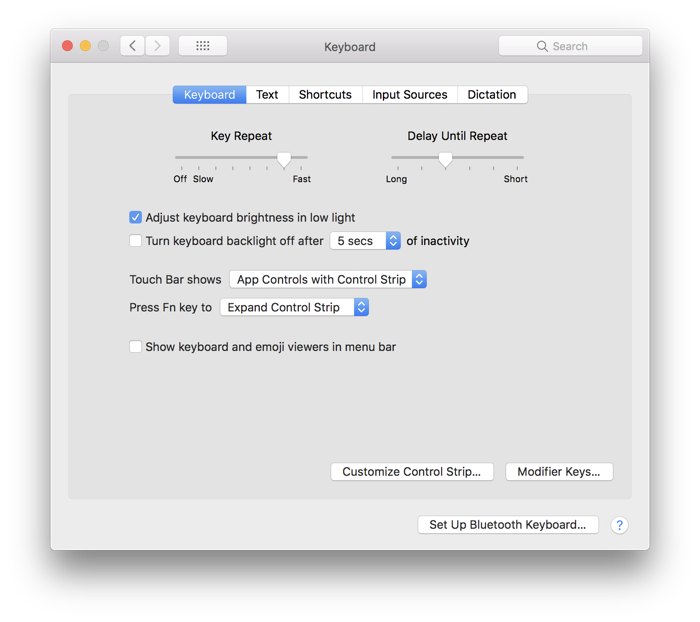 There are three things which you can do here now: set what the Touch Bar shows, what the Fn key does when pressed down, or customize the Control Strip. The ‘Touch Bar shows’ option is interesting in a lot many ways. You can set it to show ‘App Controls with Control Strip,’ ‘Expanded Control Strip,’ ‘App Controls’ or the Function keys. The ‘Press Fn key to’ option is also handy as it allows you to ‘Expand Control Strip’ when the Fn key is held down or show the Function keys. 4. The ‘Customize Control Strip’ button is where the real magic happens. Click to open it up. Once you click on it, you will see a ton of new buttons on the screen which you can simply drag onto the Touch Bar. Simply move the ones which you think are important and then click on Done. I will highly recommend playing around with this for a little while before reaching a decision. You never know when a particular set of controls will strike a good chord with you. There’s always a combination out there that will prove to be a wonderful one during productivity but downright for everything else. So, play around with it, and you’ll be golden.